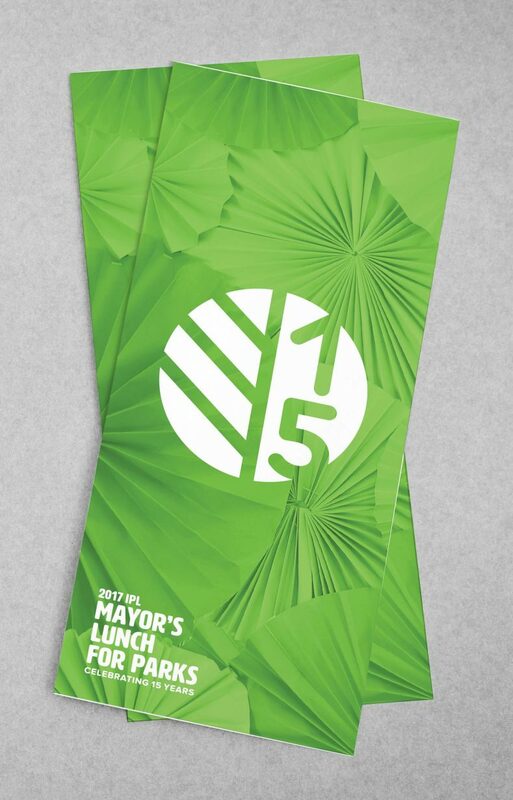 In 2017, the Indianapolis Parks Foundation set a milestone, celebrating the fifteenth anniversary of the IPL Mayor’s Lunch for Parks – also known as the #FunLunch. We have worked to brand and promote the event for the past seven years, so it seemed second nature to embrace the momentum. 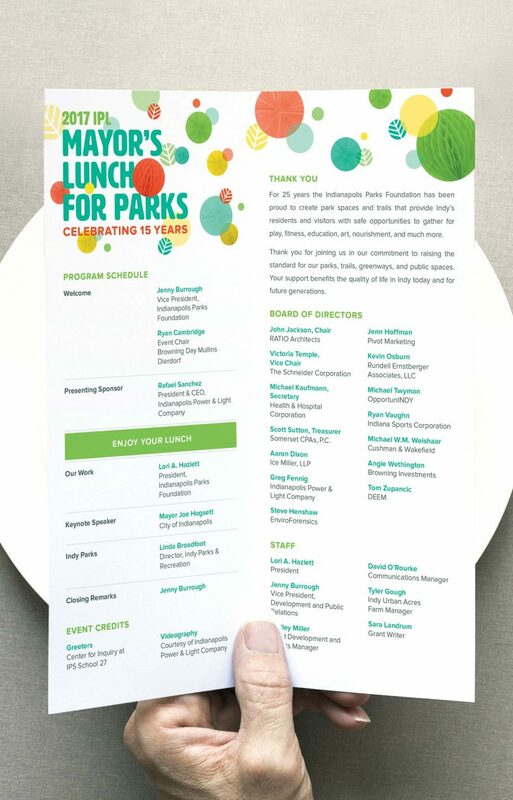 We created a vibrant, celebratory theme, bringing the room to life while honoring long-time Parks Foundation sponsors and partners. With record attendance, they exceeded their goal by securing over $285,000 to continue developing and sustaining Indy’s parks, trails, greenways, and public spaces.